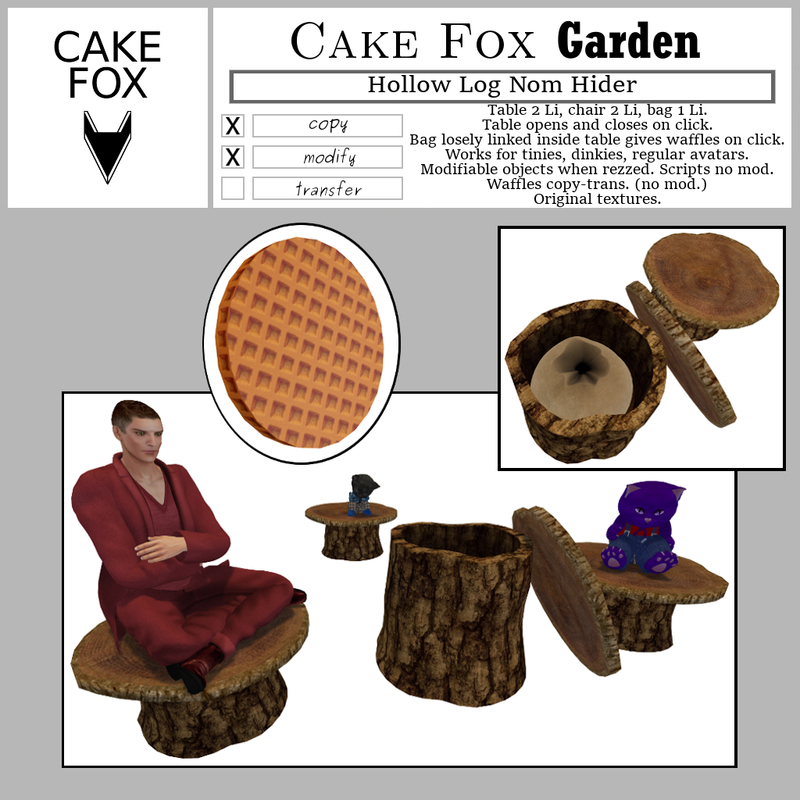 Cake Fox Garden Hollow Log Nom Hider. Table 2 Li, Chair 2 Li. Bag 1 Li. Mesh. Click table to open. Click bag for waffles. Empty table and losely linked with bag table included. Works for tinies, dinkies and regular avatars. Modifiable once rezzed. Scripts no mod. Waffles copy-trans. Get at the Temporary Raglan Merchant location, while they are redecorating the sim. You can see the rezzed version at Cake Fox mainstore.